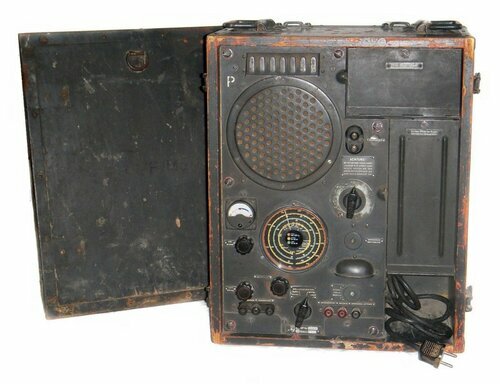 Recently I found this radio receiver. Power plug seems to me like soviet one but otherwise extremely nice and complete set. However i don't think that Mar. means kriegsmarine there. 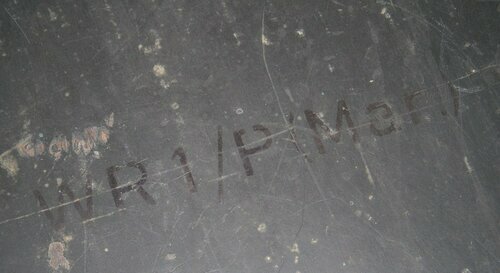 Any ideas about what „Mar.“ means? 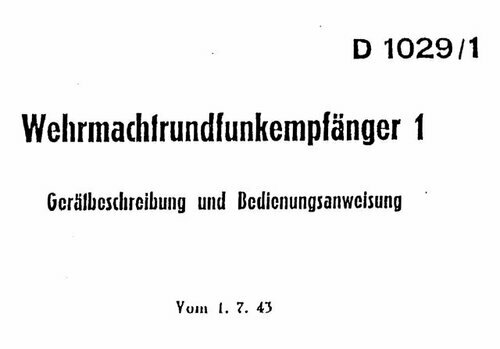 My version was that it‘s abbreviation for Kriegsmarine. I do not know the details, but I suspect the electronic circuit will be slightly different, perhaps using some different tubes. 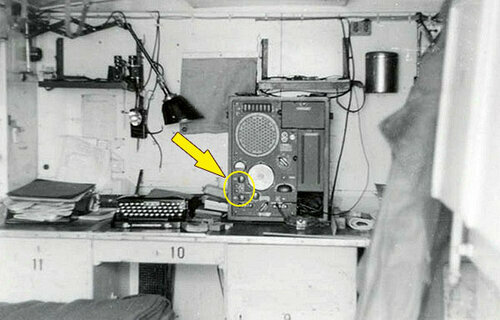 Val asked me to make photos right of loudspeaker and label in order to identify if it is Kriegsmarine model. So here is couple of pictures. D1029/1 lists two basic WR 1 receiver configurations --- WR 1/T using Telefunken metal tubes (DCH11, DF11, DAF11, DC11, DDD11) and WR 1/P using Philips glass tubes with loctal base (DCH25, DF25, DAC25, DC25, DDD25). To save space, I'm not touching the three special Short Wave bands (K II, K III and K IV) and special Table (Eichtabelle) used to roughly tune the WR 1/P-Rü. Referring all those interested to D 1029/1. 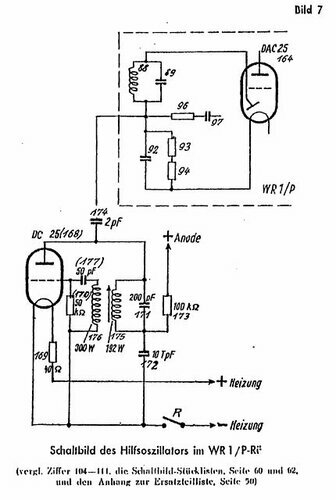 Unfortunately I only have D 1029/1 of 1943 when the WR 1/T was discontinued (though there is the schematic diagram of WR 1/T included in the 1943 manual). 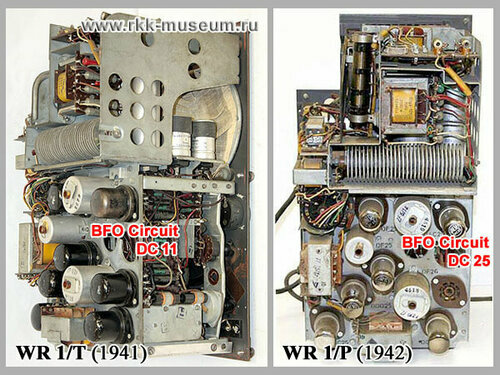 The "AM-CW" switch in WR 1/P-Rü was just switching off the filament of the BFO tube, DC25. 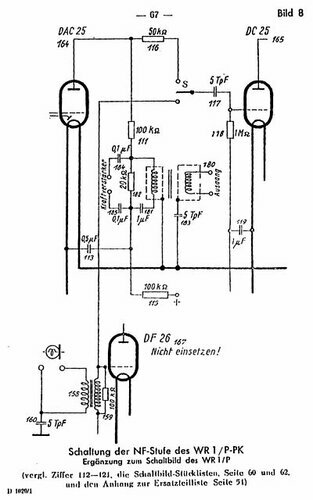 And judging by description it should be the same type of switch which may be found in the right of the front panel controlling SPERRKREIS. 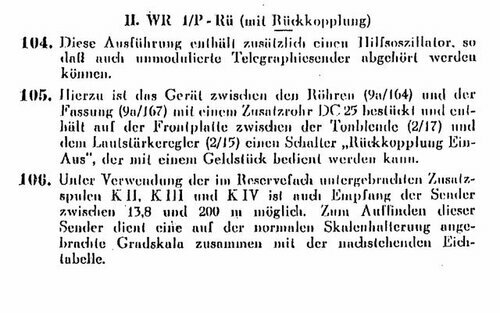 Finally, the WR 1/P-PK was a special version serving Propaganda troops of "ehemalige deutsche Wehrmacht". 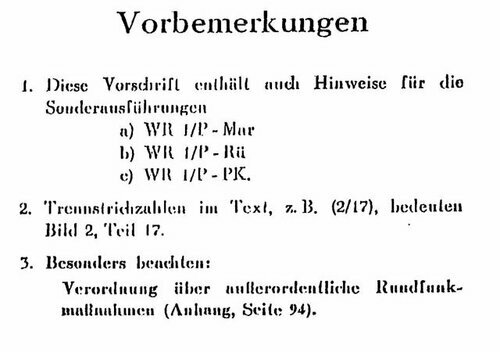 The "PK" abbreviation comes from the long German word "Propagandakompanie". 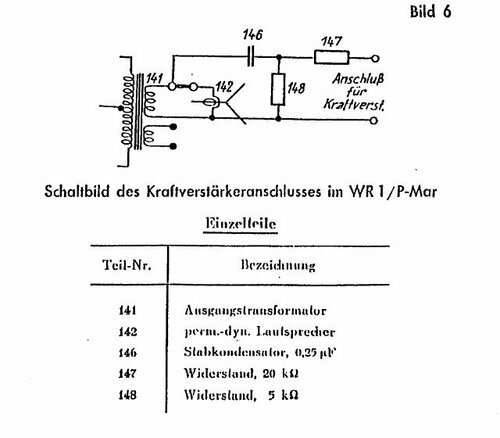 There should be certain changes in the front panel layout for WR 1/P-PK, and they must be visible between the "TON BLENDE" and "LAUTSTÄRKE" buttons like in WR 1/P-Rü. 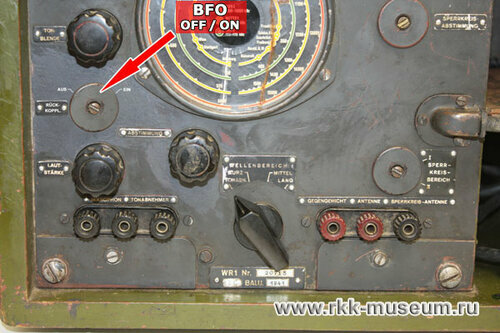 Again, we have now the D 1029/1 scan at the RKK Radio Museum site (as of today, only in the Russian part of the site). Everybody interested is welcome to copy this manual along with some more manuals in German language recently placed there. Last edited by RA3CC; 11-17-2012 at 11:29 AM. Very good explanation Valery. In your opinion how rare is each type compared to the others? ... In your opinion how rare is each type compared to the others?.. Hi Yuri! In my experience, the "Mar" version is the most frequently met (though they all are extremely rare). 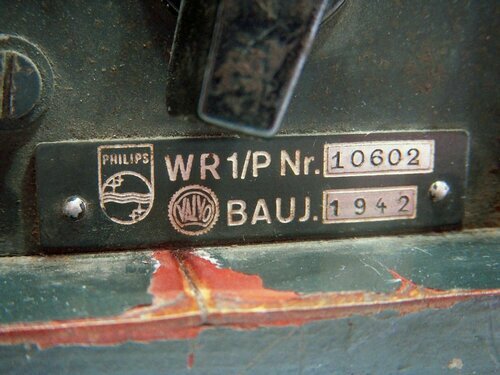 I have never seen any WR 1/P-Rü except on some very low quality picture from eBay -- something like extra button on the front panel while two empty openings inside, i.e. no BFO. And I have noticed the supposed WR 1/P-PK on the picture from your site only due to the D1029/1, otherwise I would never make a point seeing that photograph. (I have deleted your name from the pic, hope you don't feel offended).